Imagine that you have just arrived home with your beautiful newborn. You may feel exhausted, emotional, excited, or any number of emotions – all at the same time! Your baby starts to stir, so remembering all of the great lessons you learned in your prenatal class, you settle down into your glider and get ready to latch. And….nothing. The baby won’t latch or maybe the baby latches, but it hurts. Or maybe the baby latches, but you are worried that not enough is coming out. Or maybe you have been nursing for an hour and you think – this can’t possibly be right! Too bad infants aren’t sent home with full-color “how-to” manuals, right? Breastfeeding is supposed to be so natural, but now you wonder, can I actually do this? Of course! Your baby was born to breastfeed, you can do it, and we are here to help. 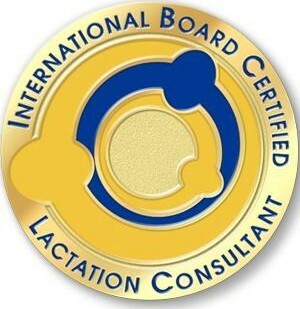 International Board Certified Lactation Consultants (or IBCLC for short) are dedicated lactation professionals who have gone through rigorous training and passed a medical board exam. IBCLCs are specialized in the field of lactation and practice evidence-based medicine surrounding breastfeeding and disorders of lactation. There are many levels of support, from La Leche League meetings to other Mommy support groups, but the IBCLC is the gold standard for breastfeeding support. Now that you’ve determined that you need an IBCLC, where do you find one? Metropolitan Breastfeeding services the whole WDC metro area. They have an office in Bethesda MD and their consultants will do home visits! Metropolitan Breastfeeding specializes in same-day visits and offers 24/7 phone service – because babies won’t wait.